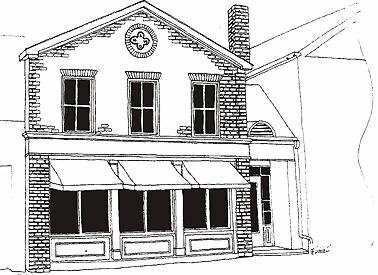 Frazer Hardware and Ironmonger Store (c. 1834) resided at 215 Lakeshore Road East. 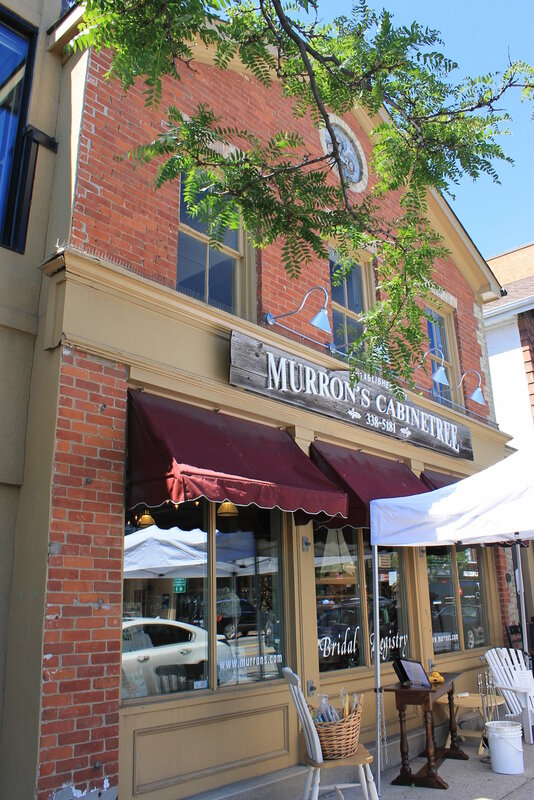 This was one of the first buildings built in Oakville purely for commercial purposes. Built in 1834 by William Creighton, the building is distinguished by a circular foil window at the top, almost a form of signature in the architecture, that can still been seen today. 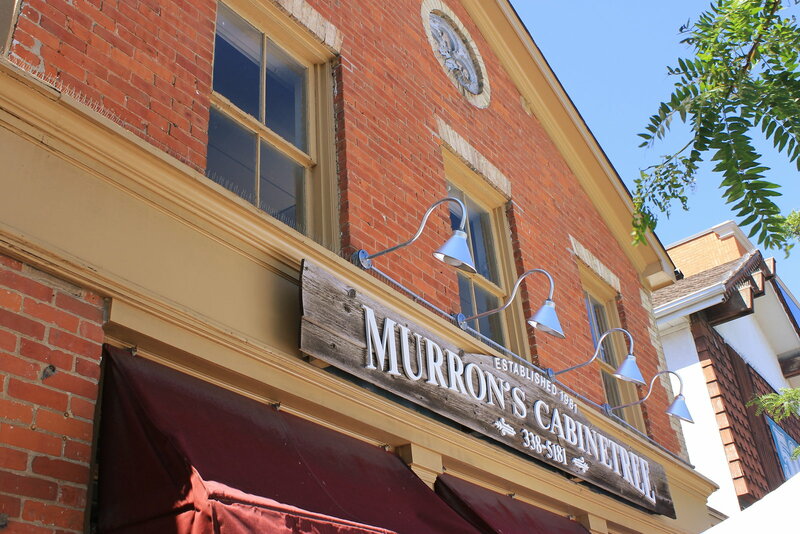 Currently residing in this building is Murron’s Cabinetree. This store sells reclaimed barn wood furniture & unique home accessories.